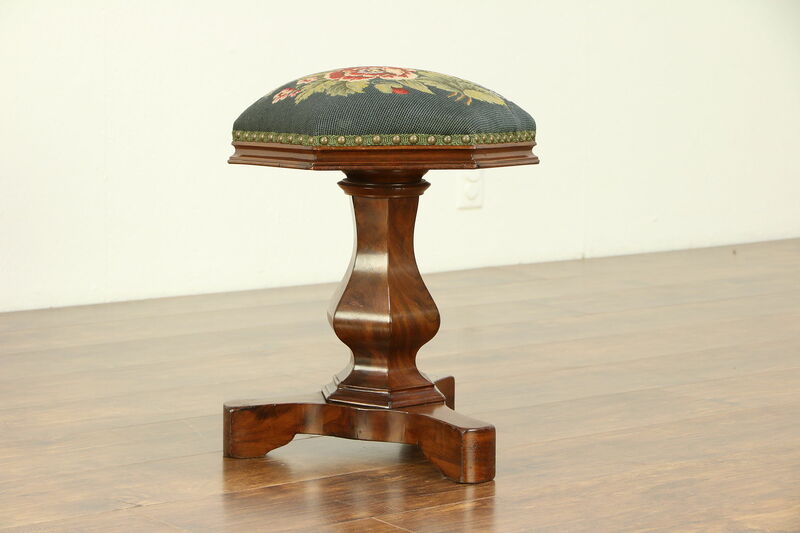 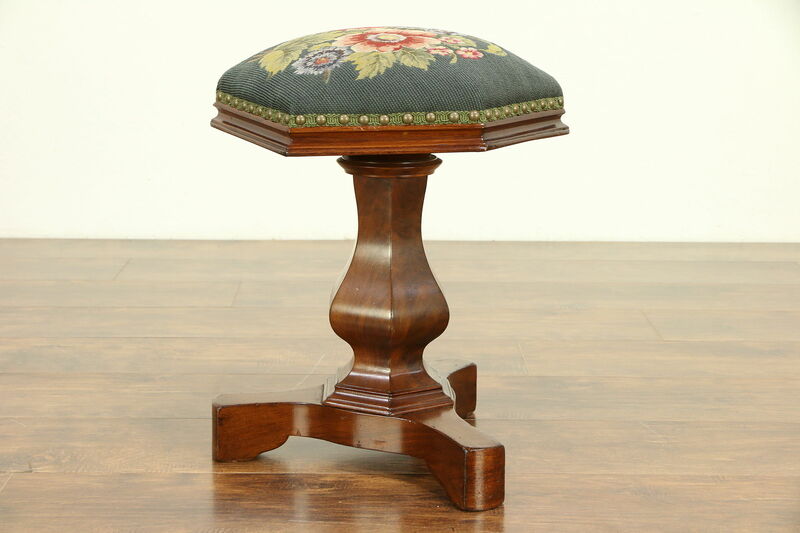 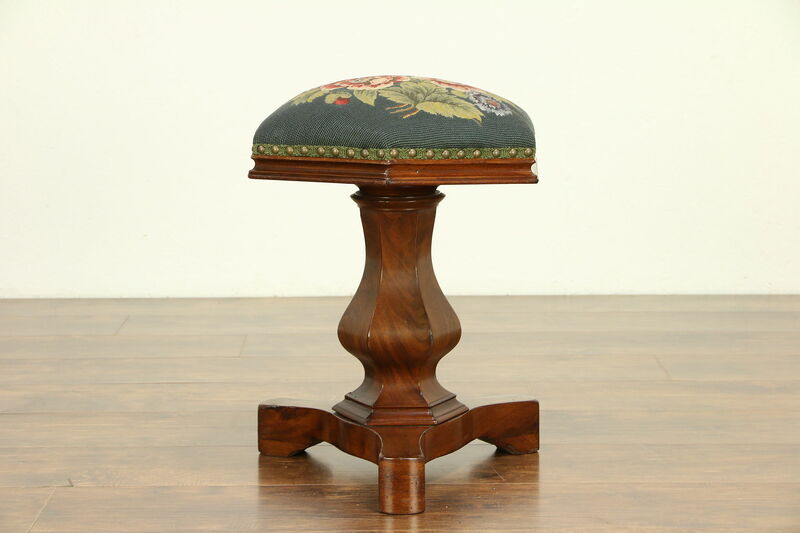 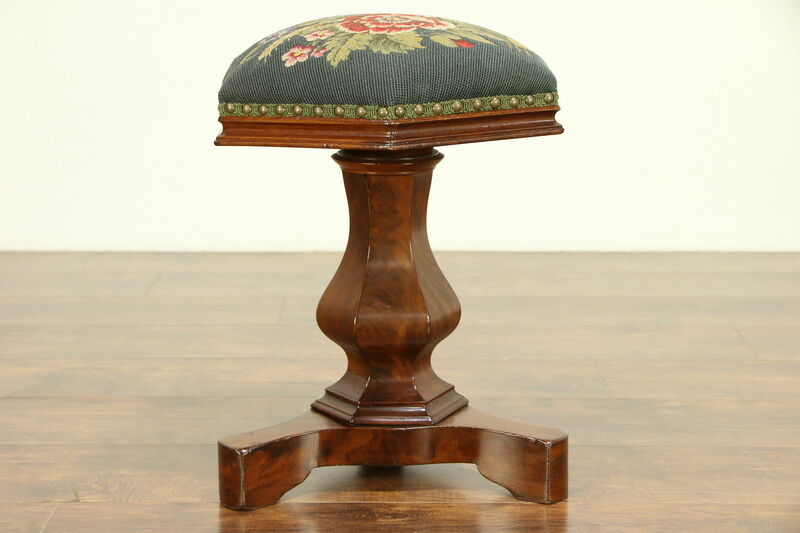 An Empire period swivel and adjustable piano, organ or melodeon stool from the 1840's is mahogany. 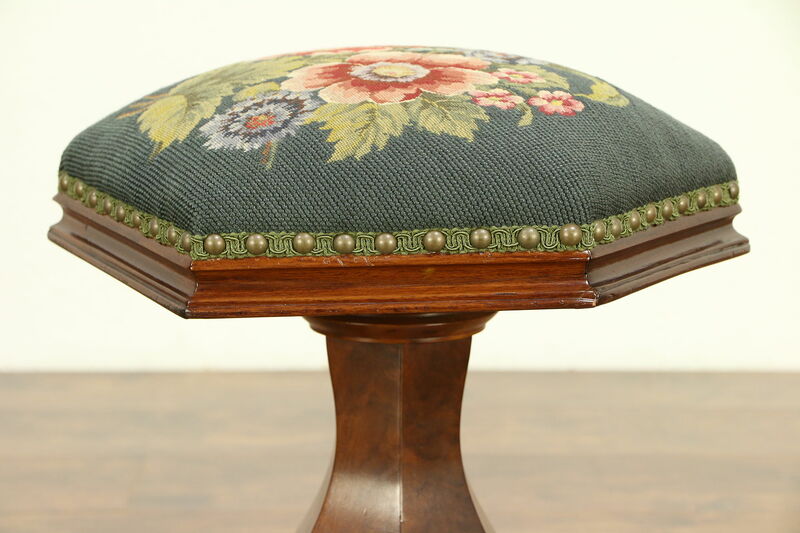 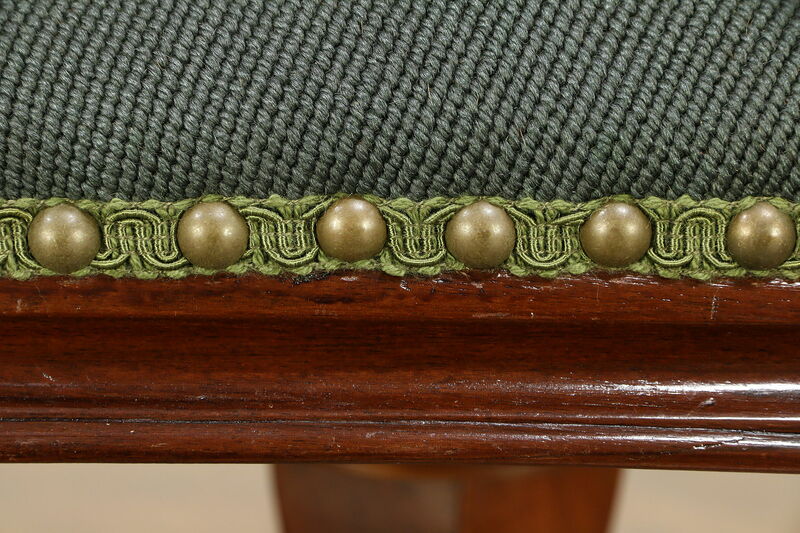 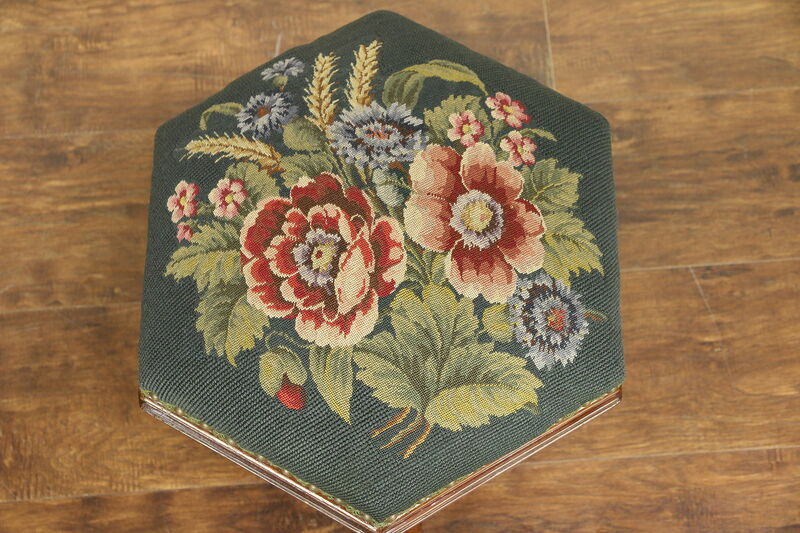 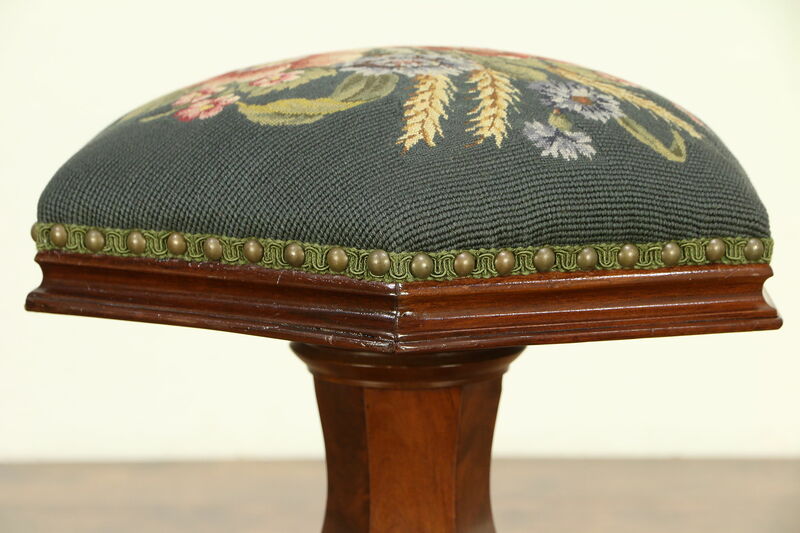 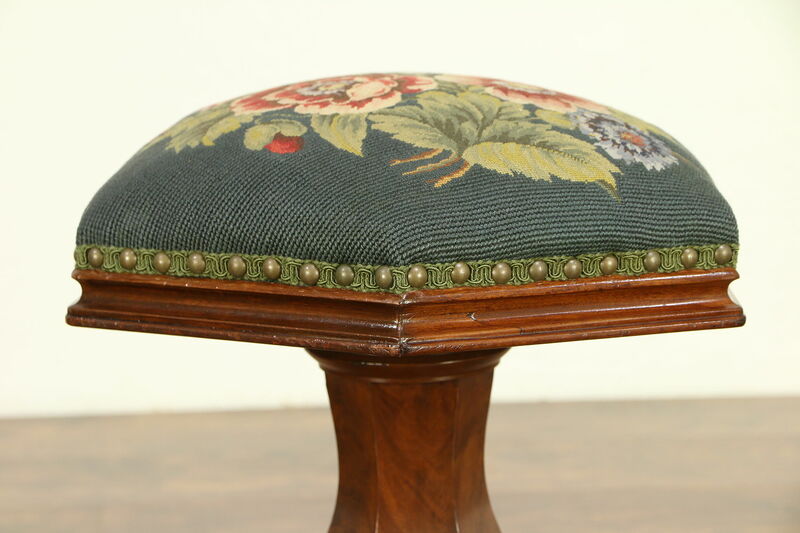 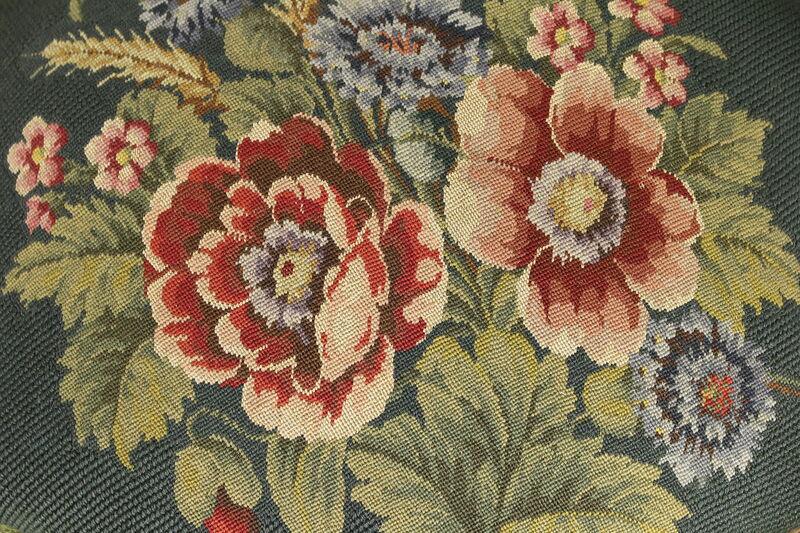 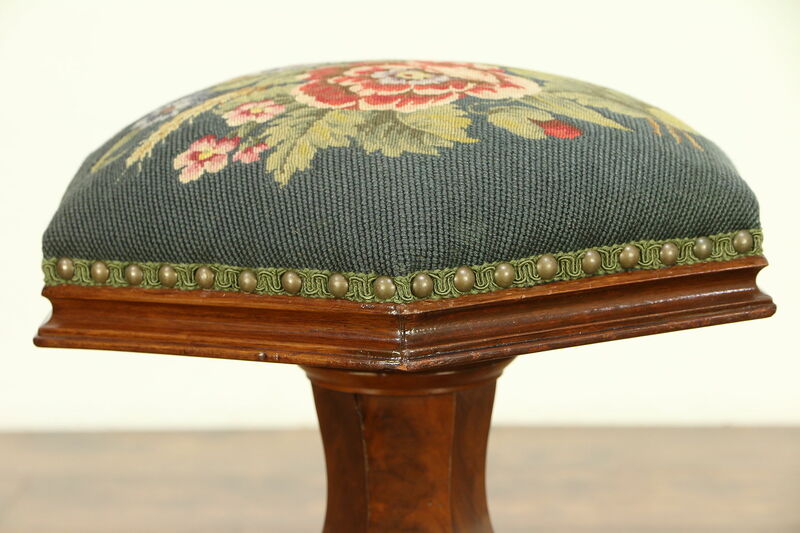 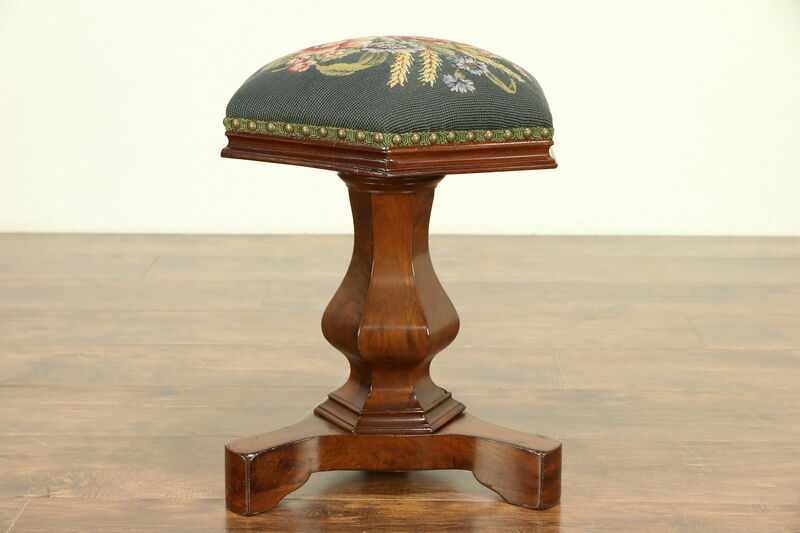 Upholstery is genuine hand stitched needle point and exquisite petit point with brass nailhead trim. 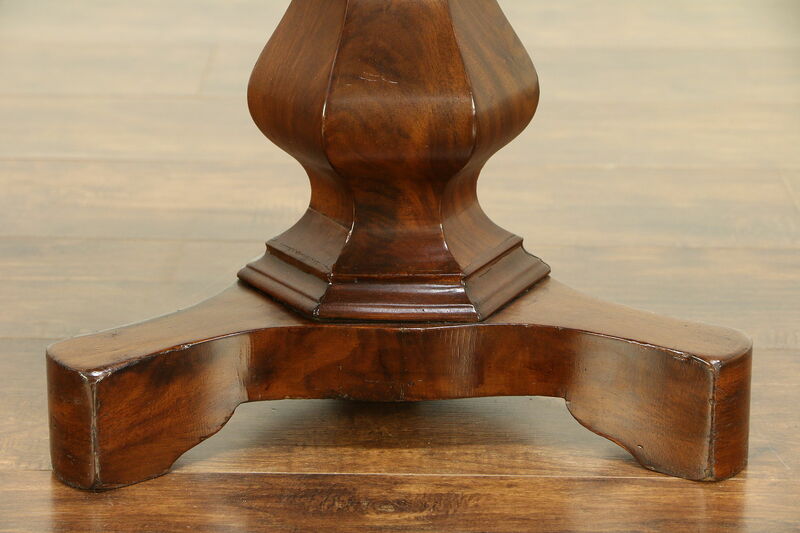 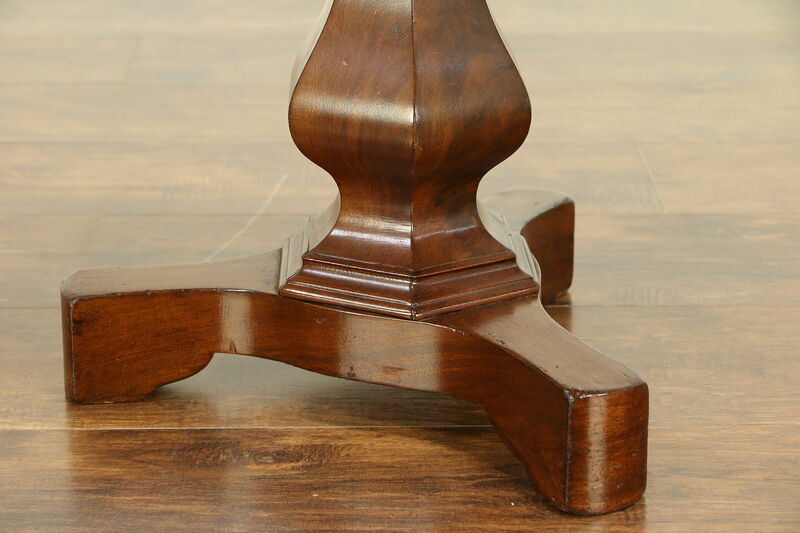 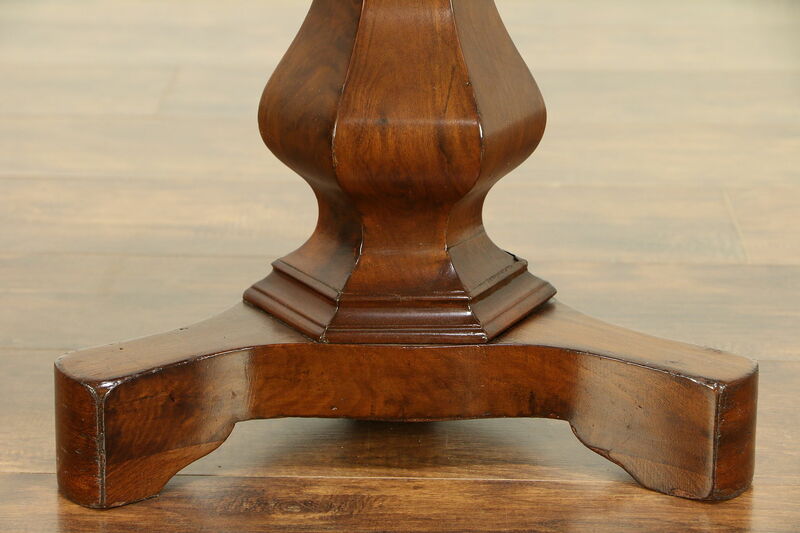 The restored finish is in excellent condition, preserving some wear at the edges for antique character, see photos. 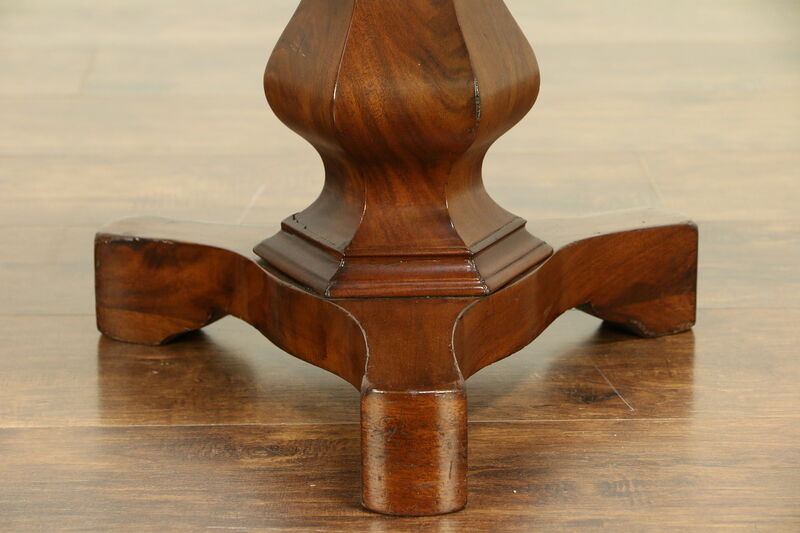 The iron swivel screw mechanism is original on this American made furniture. 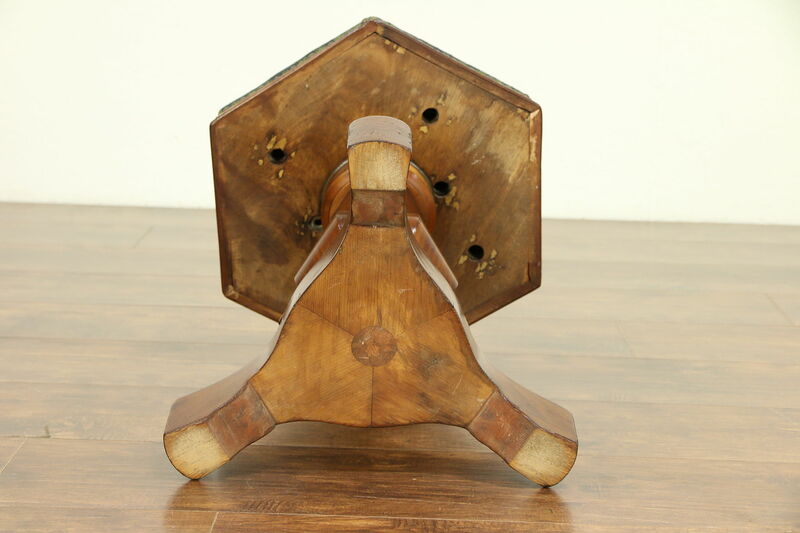 Size is 16" across the hexagonal top, height adjusts from 18-22."